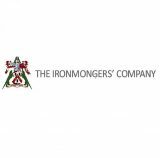 We are thrilled to have recently received a generous donation from The Ironmongers' Charity, to assist us in covering the cost of employing a Skills Coach to work with our Trainees and Apprentices. This member of our team is essential in ensuring that our learners have the support and coaching that they need to acquire the necessary skills and understanding. We would like to pass on a huge thankyou to the Trustees, and we are looking forward to the coming year of this project.